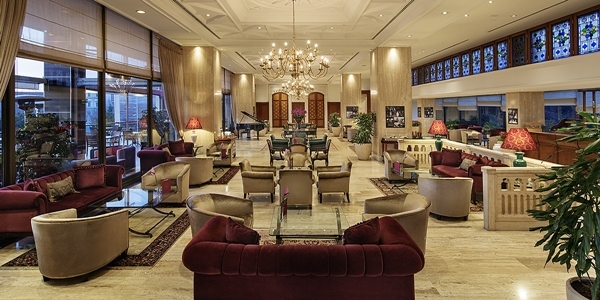 Hilton Istanbul Bosphorus Lobby Lounge&Bar is a great place to meet friends or catch up with live sports on TV. Hilton Istanbul Bosphorus Lobby Lounge&Bar is a great place to meet friends or catch up with live sports on TV. For a satisfying snack, try our Lounge menu serving gourmet sandwiches, cakes, pastries and desserts daily with afternoon tea at 3:30pm.